Arcade Fire has never been that controversial. When Win Butler’s group won a Grammy in 2011 for album of the year, many were surprised but few were mad. A year earlier, we couldn’t believe our little indie success story was headlining Madison Square Garden — we were strangely proud, even as like-minded bands went relatively unnoticed in comparison (looking at you, New Pornographers and Wolf Parade). 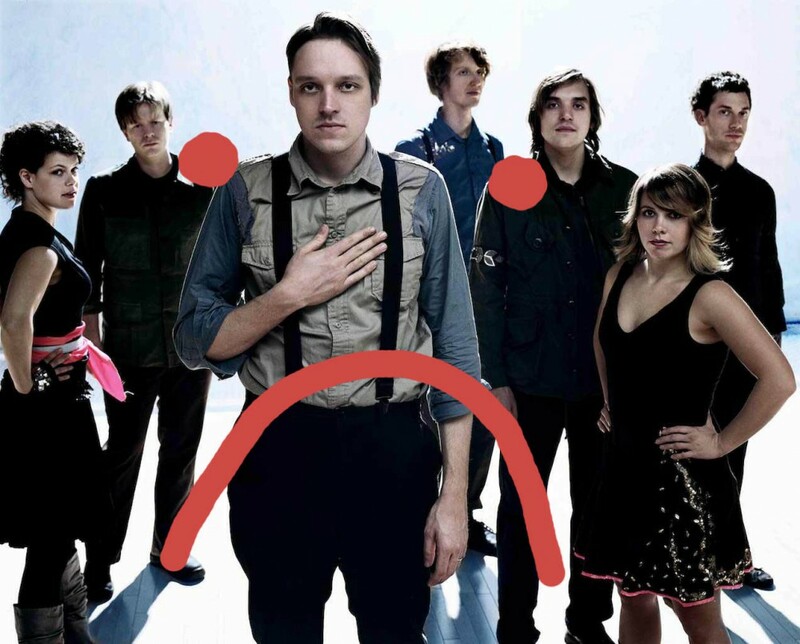 But the tide of public opinion may be starting to turn on Arcade Fire. Upon this week’s release of “Reflektor,” the Washington Post absolutely ripped the band, writing, “they’re still the biggest rock band on the block, still making music mysteriously devoid of wit, subtlety and danger. And now, they’re really into bongo drums, too. We should all be repulsed.” Has Arcade Fire jumped the shark musically? Is it time to start looking for new options? If so, here are a few lesser-known acts that could be gobbled up by the same audience. The Brooklyn band led by Salem’s own Luke Temple takes a similar right-brained approach to songcraft. Arcade Fire is a band prided on its diversity of sound, but take a listen to Here We Go Magic’s last album, “A Different Ship,” and you’ll discover that the reinvention that Arcade Fire experiences album-to-album, this band pulls off song-to-song. Florida’s Surfer Blood may not strike the same chords lyrically as Butler and company, but the band certainly gathers a fullness to its sound that deserves to be played in large venues. Deep and echo-y, Surfer Blood’s guitar tone is commanding and anthemic. The biggest difference is that while Arcade Fire has museum-like elegance, Surfer Blood hasn’t lost any reckless garage charm. The Chicago quartet has pumped out albums since the mid-’90s and always remained (slightly) ahead of the times. It’s peculiar that The Sea and Cake has toured in support of bands like Broken Social Scene (who could also easily be on this list), but has never achieved the same level of acclaim. Like Arcade Fire, The Sea and Cake mixes synth into its tunes, creating a dense wall of sound in which the lead vocals blend. This one may seem like a stretch, but there are definitely points of similarity between everyone’s beloved Quebecois and off-kilter Brattleboro, Vt., collective Happy Jawbone Family Band. While the band has been largely lo-fi in its previous releases, it has mixed in baroque pop (see “The Silk Pistol”), slow-burning waltz balladry, and excited collective chorusing, which is, likely unintentionally, shared with Arcade Fire. Another band with local roots (although apparently George Lewis Jr. isn’t so fond of Boston anymore), Twin Shadow emerged in 2010 with the perfect new-wave tune “Forget.” Listening to Arcade Fire’s “Reflektor,” one might even argue that Twin Shadow was a step ahead. Steeped as much in ’80s gothic as it is in LCD Soundsystem’s digitally rhythmic tick, there’s just as much of a grandiose feeling to the band’s sound, heightened further by Lewis’ epic vocals.